Durlet convinced the 40-member expert panel for the Red Dot Award: Product Design 2014 with the high design quality of its Oliver designed by Alain Monnens for Durlet. In the current competition, the international experts discussed and evaluated 4,815 entries from 53 countries. But only designs which won over the jury with quality and innovative strength won an award. 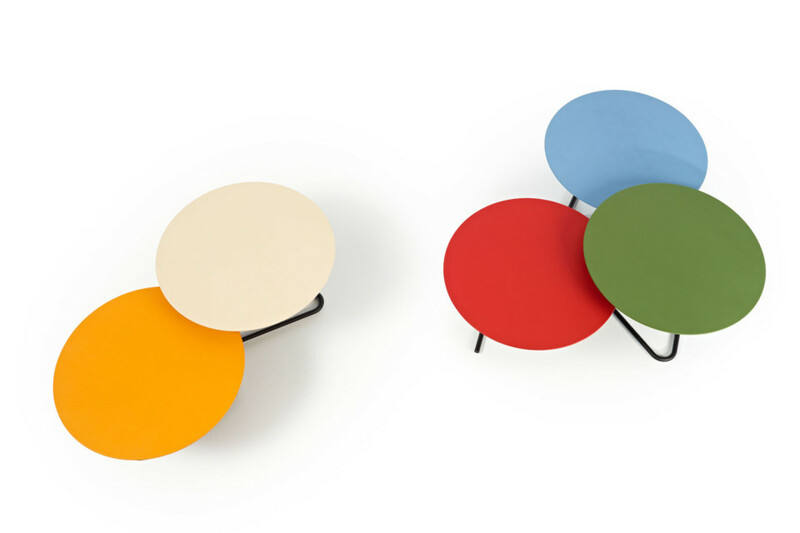 The coffee table by Durlet was successful and received the coveted Red Dot quality seal as its deserved reward. On 7 July 2014, the highlight of the internationally renowned product competition will be celebrated in Essen, Germany: the presentation of the acclaimed Red Dot during the traditioRed Dot Gala and subsequent Designers’ Night. On that evening, roughly 1,200 guests from around the world gather in Essen in order to experience the awards ceremony. In the course of the party in the Red Dot Design Museum Essen, the winners’ exhibition will also be opened, presenting the award-winning product Oliver designed by Alain Monnens to a wide audience for four weeks before it enters the museum’s permanent exhibition. “The point of departure for the design of the Oliver coffee table collection is the optical illusion that to support three points on a floor base, you don’t need three sides of a triangle. Thus the base appears to be a triangle without being one, and is therefore able to transform fluently and quite logical looking, from a flat leg to a vertical connection to the table surface. The family comprises a side table to put before and next to the sofa, and lower and wider round coffee tables with two heights. This allows to create your own desired ideal coffee table setting according to your own style and needs. With around 2,000 exhibits spread over an area of more than 4,000 square metres, the Red Dot Design Museum houses the largest exhibition of contemporary design worldwide. The award-winning products from the Red Dot Award: Product Design 2014 will be presented in an impressive special exhibition from 8 July to 3 August 2014. Since touching and testing is expressly encouraged in the hands-on exhibition, visitors experience the current best achievements at close quarters in “Design on Stage”. This way, design enthusiasts can find out about the trends in international product design and assure themselves of the good quality of Oliver coffee table designed by Alain Monnens for Durlet.